UpReach is a 501(c)3 non-profit organization, which provides year-round equine-assisted activities and therapies including therapeutic riding, therapeutic driving, hippotherapy, equine-assisted learning, equine-facilitated mental health, and vocational training programs to individuals with a wide range of abilities. These programs fulfill our organizational mission of fostering independence, inspire hope, and improve the physical, emotional, and psychological well-being of individuals with and without disabilities by partnering with the power of the horse. UpReach is a special place that focuses on possibilities, not disabilities. 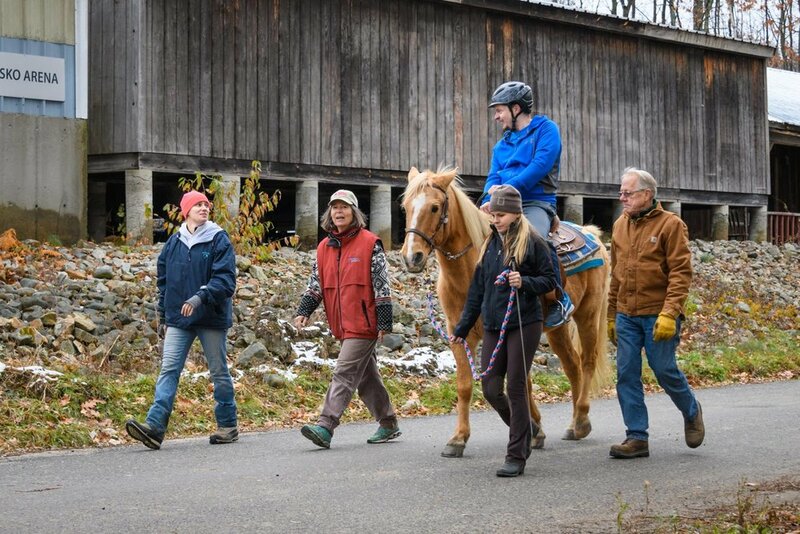 Walk through the door of the barn into a unique, welcoming environment where connections are made between riders and horses, volunteers, and staff. The sounds, the atmosphere, the energy, the attitude. UpReach is an important place that values your contribution to help us improve lives. Programs are carefully crafted and are designed to meet the varied needs of the over 80 individuals served each week. Our 19 equine partners were carefully selected for patience and skills, and, as a PATH Intl. Premier Accredited Center, UpReach adheres to industry best practices in equine management and program delivery. Our passionate, caring and dedicated team of certified instructors, licensed therapists, and trained volunteers make the difference and provide over 18,000 hours of annual support. Because of your support, UpReach staff and volunteers are able to make a difference everyday. Thank you! To get involved or for more information, please visit upreachtec.org. Special thanks to the GBCHS for their support!